When you think about it, it's still quite a bit cheaper than buying both a jet and a car. While the majority of the public was thinking self-driving cars would be the next biggest innovation to hit the market and change the course of modern life for good, a small Dutch company by the name of PAL-V has gone ahead and circumvented this thanks to its release of what is essentially the world’s first production flying car. PAL-V’s model is named the Liberty. 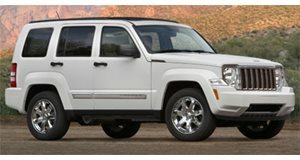 It can be had in Pioneer or Sport trims (no association with the Jeep Liberty), and has passed the many barriers required for the flying car to become a reality. The most obvious impediments are of the engineering and regulatory nature because a flying car requires an engineering team that can make the seemingly impossible happen, but then needs to go the extra mile of designing the vehicle to pass regulations for both automobiles and aircraft, a feat so monumental that it’s taken until 2017, 132 years after the first car was invented and 104 years after the Wright brother’s first flight, to make it happen. “After years of hard work, beating the technical and qualification challenges, our team succeeded in creating an innovative flying car that complies with existing safety standards, determined by regulatory bodies around the world,” says Robert Dingemanse, CEO of PAL-V. Looking at its figure, it’s obvious that the Liberty was designed with its form following the high demands of its dual functions. Most notable is the fact that the vehicle is three-wheeled, much like a helicopter, making it so that it can traverse roads but remains optimized for cutting through the air. Though it uses rotating blades like a helicopter to create the lift it needs to fly, PAL-V emphasizes the fact that this is actually a gyrocopter, which uses wind-powered propeller blades for lift but utilizes separate engines for thrust, meaning it still needs a runway for takeoff. In the case of the Liberty, two Rotax airplane engines are used, one for driving and one for flying. When on the road, the drive engine pumps out 100 horsepower. That kind of power is nothing outrageous but it's enough to propel the 1,413 pound (when empty, max recommended weight is 2,006 pounds) Liberty from 0-62 mph in less than 9 seconds on the way to a top speed of 100 mph. The craft’s impressive 31 mpg rating enables a range of around 817 miles on the road, but if you had a flying car, that’s not really how you’d use up premium fuel (no jet fuel needed) is it? A five-ten minute window is all you need to get the PAL-V into flying mode, after which the 200 horsepower engine takes over, enabling air speeds between 31 mph and 112 mph 11,000 feet in the air, enabling an air range of 310 miles. Given that the blades are propelled by the wind, the gyrocopter needs a grass or paved runway that’s 600 feet long for takeoff. However, landings are much simpler with the needed distance for touchdown being similar to that of a tennis court. Additional features include sport suspension tuning and a tilting cockpit to aid spirited driving. While we’d love to jump into one right now to avoid a traffic-laden commute home, the fact stands that we’d need a driver’s license, pilot’s license (a license to fly a gyrocopter is one of the easier pilot’s licenses to get), and no less than $399,000 to buy our own. That sum of money is expensive for any vehicle, but the Liberty is clearly for those in a price bracket where a car is more toy than necessity, especially when considering that the fully-loaded Liberty Pioneer costs $599,000, $200,000 more than the cheaper Liberty Sport. Buyers wanting a mid-range pick can simply buy the Liberty Sport and select the Liberty Pioneer features they like from the options list. The Liberty has been designed to pass regulations as a car and also complies with FAA regulations and requirements from its European equivalent, the EASA. Anyone wanting a piece of the action would be wise to plunk down for the $10,000 deposit on the Liberty Sport or $25,000 for a spot on the Liberty Pioneer reservation list because manufacturing of the preproduction models will begin soon. Expect those to come out of the Netherlands' factory in 2017 followed by the first customer copies, which are set to be built and delivered by the end of 2018. If you're interested, check out PAL-V's own video showing off the Liberty and its mastery of the land and the skies.